One side effect of our modern lifestyle is the often-poor quality of our indoor air. Our indoor air quality is affected by allergens, chemical residues from conventional cleaning products, and the large amount of electronics that we use in our homes, often at the same time. According to leading health expert Dr. Joseph Mercola, air that is filled with too many positively charged ions, such as is the case in rooms filled with electronics, can lead to heightened agitation, difficulty concentrating, sleep interruptions and a higher amount of free radicals accumulating in your body. 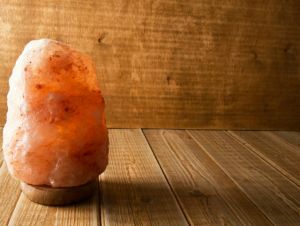 Aside from turning off electronics when you are not using them, and keeping them out of your sleeping space as much as possible, another solution to clearing the “electronic pollution,” as well as other indoor air pollution, from our homes is to display a few beautiful and functional Himalayan salt lamps. Salt naturally absorbs moisture and humidity from the air, and in turn, some of the pollutants which are contained within it. When the salt is heated, such as in a salt lamp, negative ions are created. Negative ions work to purify the air, as they attract pollutants and ground them. These negative ions are naturally produced in the environment after storms – hence why the air is so crisp and refreshing after a thunderstorm. It is this property of heated, natural salt that leads many people in European nations to visit hot salt springs – for their calming and rejuvenating properties. Short of visiting a salt spring, arranging Himalayan salt lamps around your office, bedroom, bathroom and living room can help to clear the air, and even provide stress relief and enhanced focus. Himalayan salt lamps come in a variety of colors, so that you can create the ambiance that you desire in any given room. Besides being key to any office environment that is swarming with electronics, they are an excellent addition to a meditation space, as the refreshing air that you will enjoy while meditating with them around can greatly enhance your experience. For other ideas on how to improve your indoor air quality, check out our recent article . Hey Buddy!, I found this information for you: "What Himalayan Salt Lamps Can Do for Your Health". 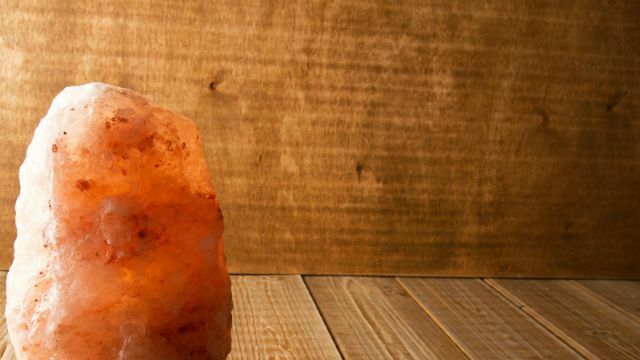 Here is the website link: https://www.thealternativedaily.com/himalayan-salt-lamps-can-health/. Thank you.